Unser 4. Stock, Aufzug-Service, geräumig, Dom-Decke, komplett ausgestattete Ferienwohnanlage mit drei Deckenoberlichter, Sonnensegel-überdachte Veranda, Innen- und Außen Esstische, bietet einen spektakulären Panoramablick auf das Meer und herrliche Sonnenuntergänge, und werden zu Hause weg von zu Hause. Speisen Sie auf der Terrasse und beobachten den Wechsel Meer und Himmel, ausstrecken am Pool oder Jacuzzi mit einem guten Buch und einem kühlen Getränk, betrachten die Zukunft mit einem Bad in der Sauna, Grill Ihr Abendessen auf der gasbefeuerten BBQ auf entweder die Tennisplätze oder den Pool, eine Partie Golf im nahe gelegenen Wailea und Makena Kurse spielen, oder besser noch spazieren über die Straße zu einem der schönsten weißen Sandstrände auf Maui - die schöne Kamaole I und II Strände, wo die sanfte Brandung wird locken Sie schwimmen und die Riffe in den klaren, warmen, blauen Wasser schnorcheln, dann im hellen Sonnenschein Kihei sonnen. Als weiteres Plus, von Dezember bis Mai, Buckelwale werden Sie locken landeinwärts Mütter zu sehen mit ihren Kälbern tummeln. Kiheis durchschnittliche Tagestemperatur liegt im niedrigen 80er und Abende sind immer angenehm. Die zentrale Lage ermöglicht es Ihnen, auf Maui leicht all die wunderbaren Aktivitäten zu erreichen. Windsurfen, Paddeln, Kajakfahren und Surfen sind alle leicht zugänglich Sport für Abenteurer und Weltklasse-Resort Golfplätze und Restaurants sind nur wenige Minuten entfernt. Ein Besuch in unserer schönen Insel Paradies wird die wahre Bedeutung von "Maui no ka oi" oder Maui ist die beste enthüllen! Beobachten Sie die Wale von unserem Lanai! Sunset Aussicht ist spektakulär als gut. Wir bieten auch Gästen mit Liegestühlen, Sonnenschirm und einen Kühler, sowie Spielsachen für den Strand! Another great vacation at Carole and Lothar's condo! This condo has everything you need to have a great vacation and is in a great location to explore Maui! Thanks Joanne, we're so glad you and your family had a good stay. Hope you'll be able to return soon! It's hard to know where to begin when describing this condo and property because it has so much to offer. The property sits across from Kamaole 1 beach so it's super easy to just walk to three great beaches (Kam 1,2,3), shopping, rentals, food etc. There was always lots of parking, the pool/hot tub area is superb as are the two BBQ area's. The condo has the best view out of the entire complex and combined with the huge lanai, your after beach time is so relaxing. The condo has what appears to be all new appliances including washer and dryer and my absolute favorite feature - a huge ice maker in the freezer. I think I counted 4 ceiling fans , two tower and two table top fans plus air conditioning but the condo stayed nice and cool without the air conditioning. The condo has everything you can think of so it feels like your at home. The owners also have available 5 beach chairs, beach towels, toys and a boogie board. I should also mention that the loft area was great for our two teenage sons, it gave them their own space. Is it worth the money, absolutely. Mahalo for your wonderful review of our Alii Kai condo. We are so glad we succeeded in providing your family with a home that met all your expectations for your stay in our little piece of paradise. (Our grandchildren also love the loft,) We hope you and your family will be able to return soon. Thank you very much for your review. We're happy you found our condo to your liking. We hope you'll be able to return in the future. We had a wonderful stay at this condo. It was perfect for our family of four and we had everything we needed to make our vacation comfortable and just all around wonderful. We enjoyed the view and having breakfast on the lanai, and the beach chairs/towels/toys were so handy. Kamaole I is a lovely beach. Carole and Lothar went above and beyond for us to make our sleeping situation work with a toddler and baby. Thank you so much! We're so happy you enjoyed staying in our condo, and that our condo met all of your family's needs. We want our guests to feel our condo is their home away from home! "Maui no ka oi"(Maui is the best). We hope you will be able to return again soon. As a mahalo, we always give our return guests an 8th night free. We wish you a joyous holiday season and happy and healthy 2019! The two best features of this condo? 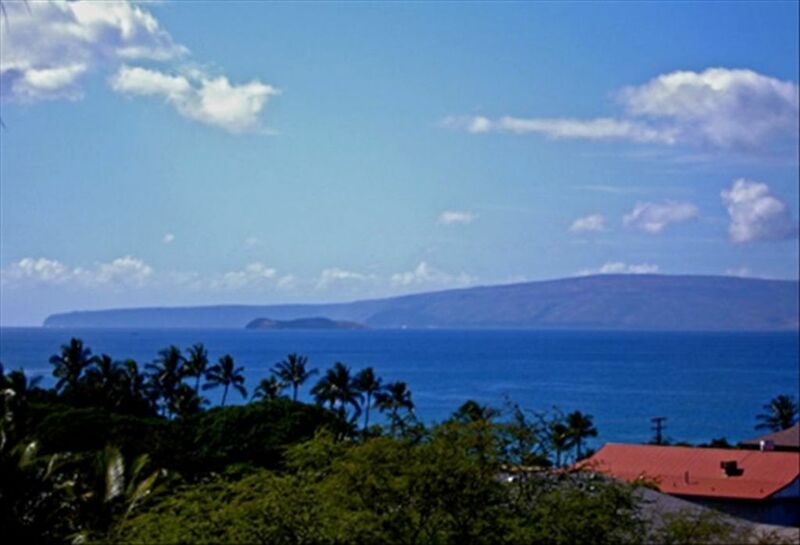 Close proximity to so many great beaches, and the ocean view, with Molokini in it, from the lanai. Owner was super responsive to all our questions and went above and beyond to accommodate our family when the conplex’s pool was being renovated during our stay. They also allowed a late check-out for our red-eye flight, which enabled us to squeeze in one more glorious day of snorkeling. Perfect size for a family of 4. Our girls loved sleeping in the loft area. Our family can heartily endorse a stay here. Thanks Kristina, glad you found our condo and location met your family's needs. Our view is spectacular, and our grandchildren love the loft too. Sorry the pool was unavailable during your stay, and we hope the alternative worked for you. * Golf auf Weltklasse-Kurse - Wailea, Makena, Silvers, * Tauchen im Marine La Perouse Bay und Ahihi Kinau, Buckelwal und Dolphin von Dezember bewahrt bis Mai zu beobachten, * Besuchen Sie die Maui Ocean Center Aquarium bei Maalea Harbor, nehmen die Zucker Cane Train, kaufen die Galerien in Lahaina und Wailea, * Winetaste bei Tedeschi Vineyards und erkunden Landesinneren, * gehen Sie zu einem Fitnesscenter oder Spa für eine Massage, * Spielen Sie Tennis, Softball, Fußball, gehen Inlineskaten, Skateboard auf Kalama Park, * Tanz im Grand Wailea Hotel-Laser-Disco oder die vielen kleinen Clubs, * Wandern, reiten oder Fahrrad entlang der Haleakala Vulkan, oder nehmen Sie ein ATV und Zipline-Tour, * Wanderung der Iao Valley, besuchen Sie den Botanischen Garten und das Maui tropische Plantage, * genießen Maui Community Center Theater, Myth & Magic Theater, und greifen Luaus, * Zum Angeln und Jet Ski, * Schließlich besuchen üppigen Hana, erkunden Lavahöhlen und die Vielzahl von Wasserfällen auf dem Weg! GET/TA ID: 148-505-6000-01 NON SMOKING CONDO and NON SMOKING PROPERTY EXCEPT IN DESIGNATED AREA. Deposits are fully refundable up to 60 days prior to arrival during high season and 30 days prior to arrival during low season, minus $50 cancellation fee. Within 30 days of arrival, refund dependent on re-rental of property. RATES BASED ON 4 MAXIMUM. 5TH PERSON $10 PER NIGHT EXTRA. $300 Refundable Security Deposit Required.